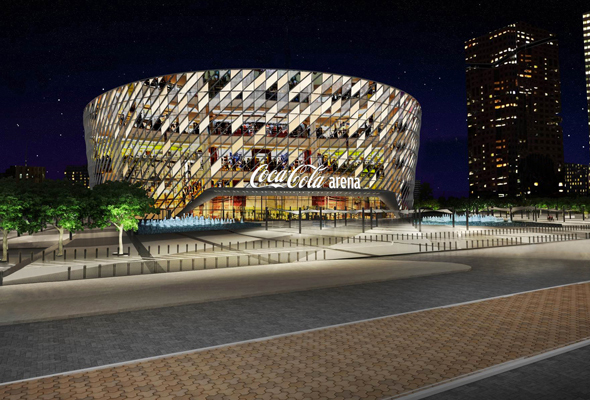 Dubai Arena will now be called Coca-Cola Arena after master developer Meraas signed a 10-year deal with the Coca-Cola Company. Coca-Cola Arena will open its doors in City Walk this June, with two huge gigs already announced for the epic new space. First up will be famous funnyman Russell Peters, who will launch the arena on Thursday June 6. Tickets for the gig are now on sale from Dhs200, via ticketmaster.ae. Wondering what will the new Coca-Cola Arena look like? Well, the first images show the sheer size of the super venue, which will have capacity for up to 17,000. The multipurpose arena will be fully air conditioned, which means that it will be able to host events all year round. So, say hello to summer concerts in the city for the first time. 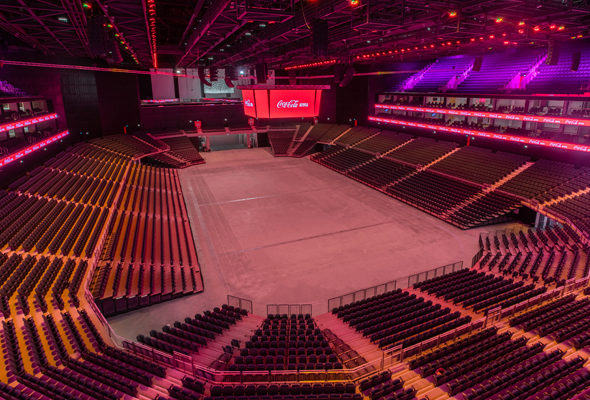 As well as concerts and festivals, conferences and exhibitions, Coca-Cola Arena is expected to host sporting events such as basketball, boxing, volleyball, and ice hockey, thanks to a retractable seating structure that will allow for an array of event formats. 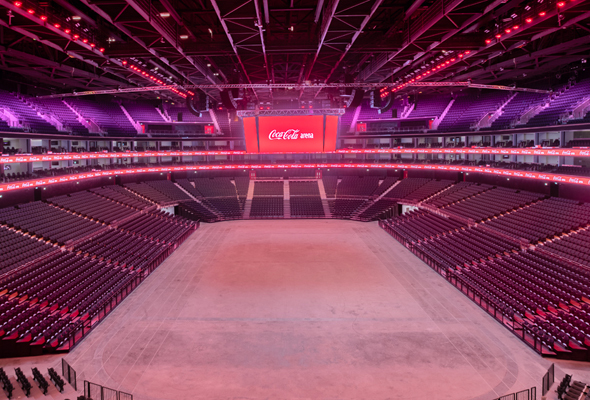 Day-to-day operations of the Coca Cola Arena will be handled by AEG Ogden, who also operate mega venues such as London’s O2 Arena, STAPLES Centre in Los Angeles and the Mercedes-Benz Arena in Shanghai.